Don Charlton, fixed my DC fridge in minutes. My DC fridge stopped working the other day. Can be hard to find a local DC fridge mechanic. 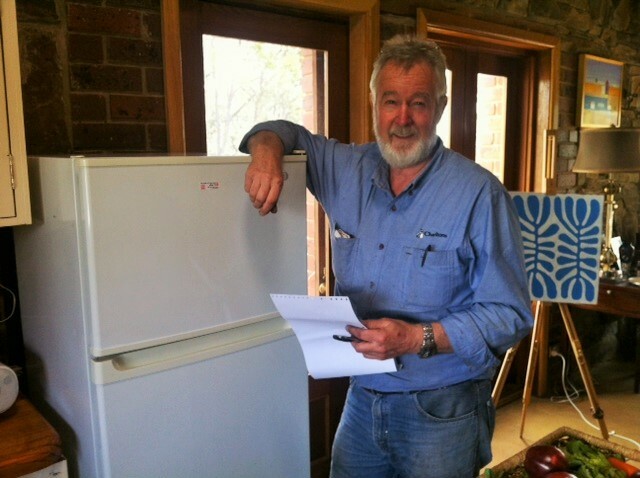 After a bit of searching and a number of calls with people who couldn’t do the job, was fortunate to connect with Bendigo-based fridge mechanic Don Charlton. Katherine, who answered the phone, was incredibly friendly and helpful. Nothing was too much trouble. “Sure, no problem. We do DC fridges,” she said. Don happened to be in Castlemaine that morning and popped in. Couldn’t believe my luck. He immediately went to the most obvious cause and confirmed it was a blown fuse. Happened to have the right fuse in his top pocket! Fixed in minutes. $100 for the service call, which I was very happy to pay. Don told me what fuse to buy and where to buy them. Will be ready next time if it goes again. Incredibly friendly, lovely man, and clearly he knows what he’s doing. Great service. 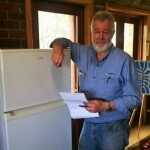 Charltons Air Conditioning and Central Heating, www.charltonsbgo.com, email: service@charltonsbgo.com.au, tel: 5443 4622. This entry was posted	on Thursday, December 11th, 2014 at 5:07 am	and filed under • Sharing, Recommended suppliers and tagged with Charltons, DC Fridge, Don Charlton, Refrigeration Mechanic. You can follow any responses to this entry through the RSS 2.0 feed.